Kevin McMahon takes us through the 8 key features that should be on your unified communications checklist in 2019. Unified communications (UC) implementations are on the rise. According to Gartner, UCaaS adoption increased across all market segments in 2018 as a growing number of businesses are realising the positive impact of UC in their organisations, in the form of flexibility, consistency, advanced capabilities and cost savings. If your business is looking to add or expand its UC features, review this checklist to ensure you are getting the most out of your UC solution. For customer contact and interaction, sales needs and daily business functions, voice capabilities are still an active function in today’s enterprises. Inbound and outbound contact centres are commonly used functions of hosted voice services as well. Many customers and vendors still prefer contact with a live human who can sympathise with their concerns and answer questions with a personal touch. Current Unified Messaging (UM) and Presence programs are often found as bundled collaboration tools. UM is a UC solution that pulls messages from various sources like email, fax, texting and voicemail, so users can access them from a single or unified location. Presence refers to the ability of a user to know which colleagues are online and available for communication interaction. Nowadays, you’d be hard-pressed to find enterprise employees without a smartphone. The smartphone has become our mobile connection to the world at large, allowing us to communicate in a myriad of ways virtually any time, anywhere. So, there is a demand for enterprise connectivity to the office no matter where users may roam. 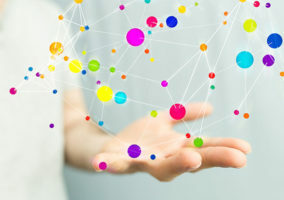 Mobile connectivity with UC functionality is provided through apps for mobile messaging, collaboration and file sharing. Today, there is a growing prevalence of video and web conferencing deployments in companies of all sizes. According to a survey conducted by technology market research company IHS Markit, around 86 percent of businesses surveyed planned to use video conferencing as part of their UC environment by the early part of last year. With various video and web conferencing solutions at the ready, they will continue to be important facets of UC. 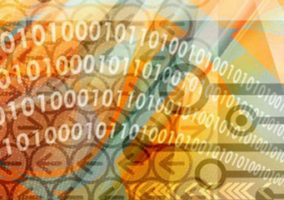 Video and web conferencing products continue to prove their value time and again. They provide efficient ways to conduct business meetings, saving on time and travel expenses. Today’s office employees want to check off their daily task items using apps that work together for seamless and efficient work handling. Using apps that integrate with other UC tools makes it easier to complete functions without wasting time switching between applications. West has developed several options for UC app integration. Merging apps makes for powerful and time-saving employee tools. The ability to communicate across a mobile device such as a smartphone or laptop with wireless capabilities comprises the mobility part of UC. Mobility consists of several facets: single number access, find-me-follow-me and mobile app continuity. In 2019, users want to have a single number as a point of contact, whether in their corporate office, home office or on the go. They also want to continue to have the functionality of their office productivity apps while mobile. Threats to corporate networks are continual. Companies looking to secure their UC infrastructure might consider a managed network solution to keep the integrity of the network intact. 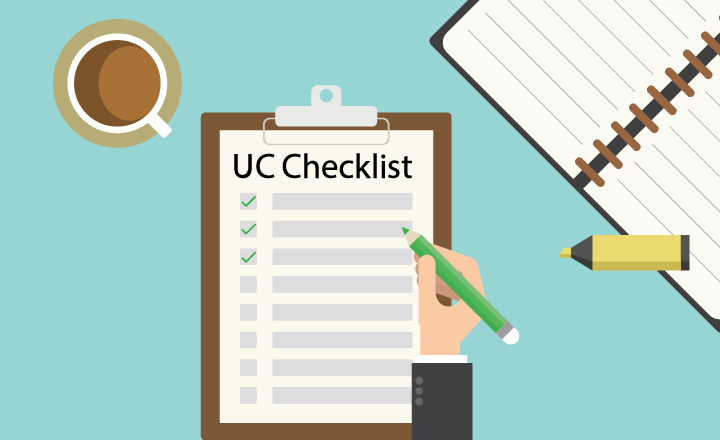 As this checklist demonstrates, there are many customisable options available for implementing UC solutions in your organisation.